← Nico’s Little _______ !!! Happy Hump Day everyone! 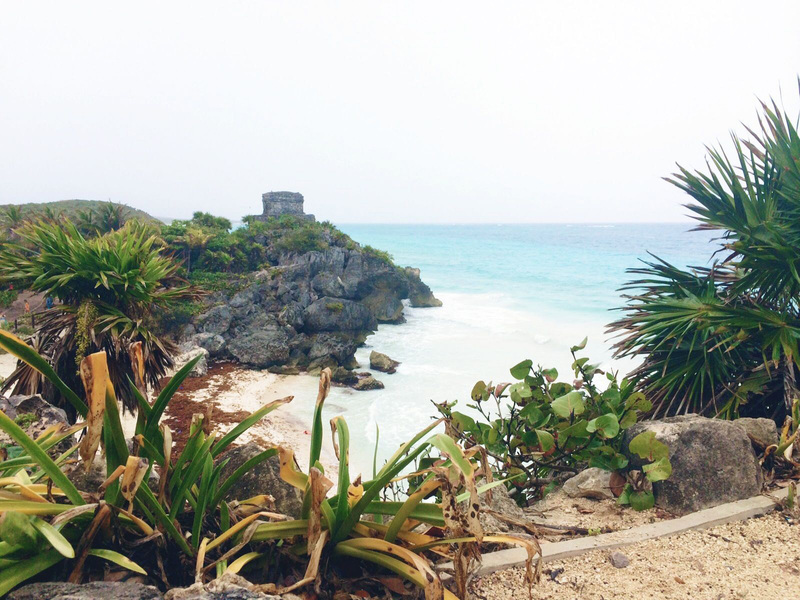 These cold temperatures are still lingering here in NYC, and it’s making me miss the weather from our trip to Tulum, Mexico. I’m excited to share these photos and a little bit about our adventures down there. It was honestly one of the most beautiful places I have ever been. Boho hippie chic in style, completely relaxing, but adventures around the corner for those who want to partake. Unfortunately, I spent a lot of the trip sick (from the food I’m guessing? God only knows), so we didn’t get to do as much as originally planned, but we still had an amazing time and at least enjoyed the warm weather! 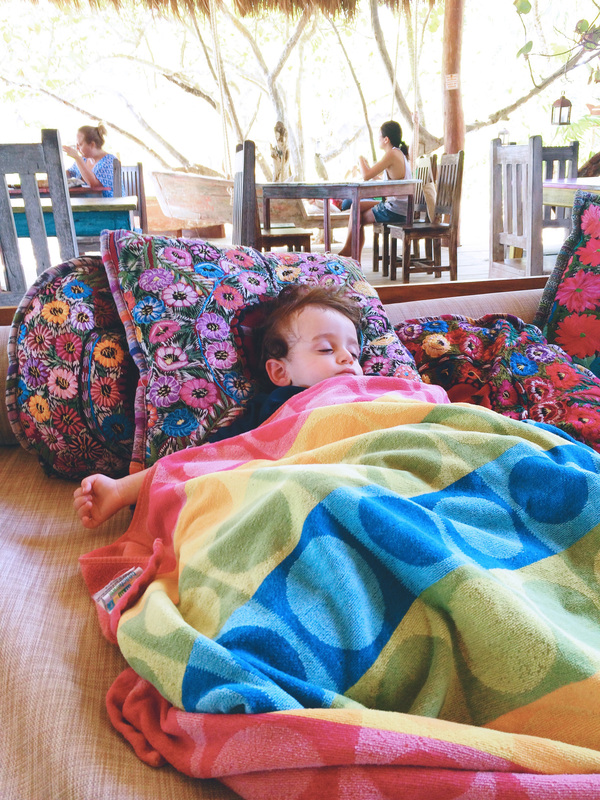 We stayed in Tulum for a week and then ventured to the town of Akumal for three nights. 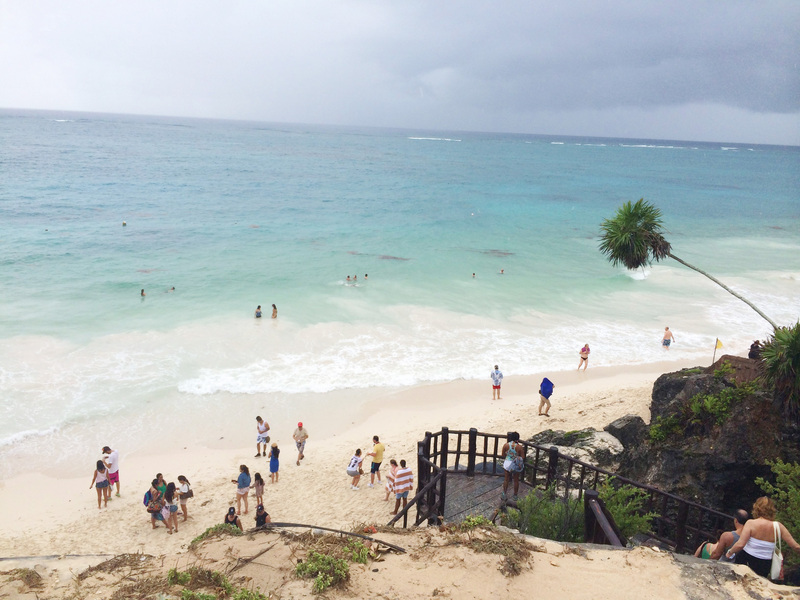 We also explored around to different areas to visit Mayan ruins, cenotes, and Playa del Carmen. 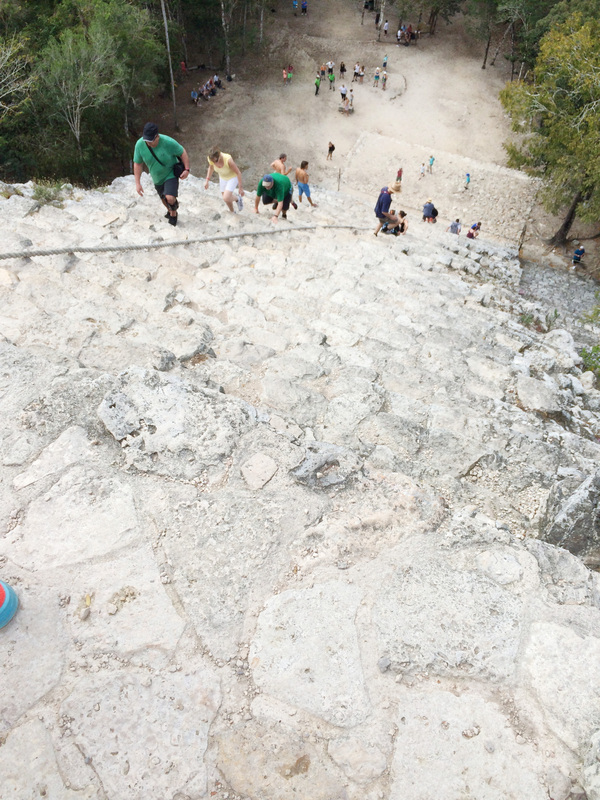 The first photo is from the Mayan ruins in Tulum. Simply gorgeous! 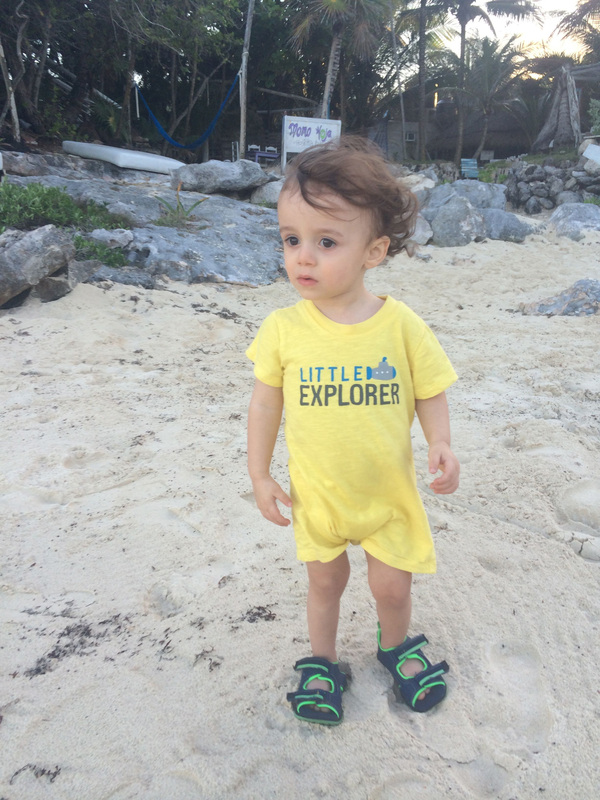 This photo is also from our trip to the Tulum ruins. My little monkey hanging out in the carrier! He is such a good traveler! 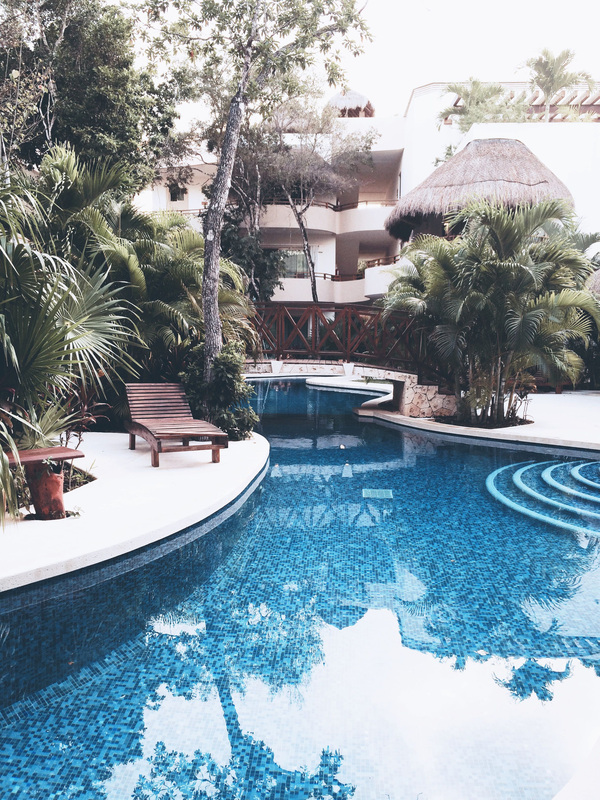 Pool at our condo in Tulum. We rented it off airbnb. 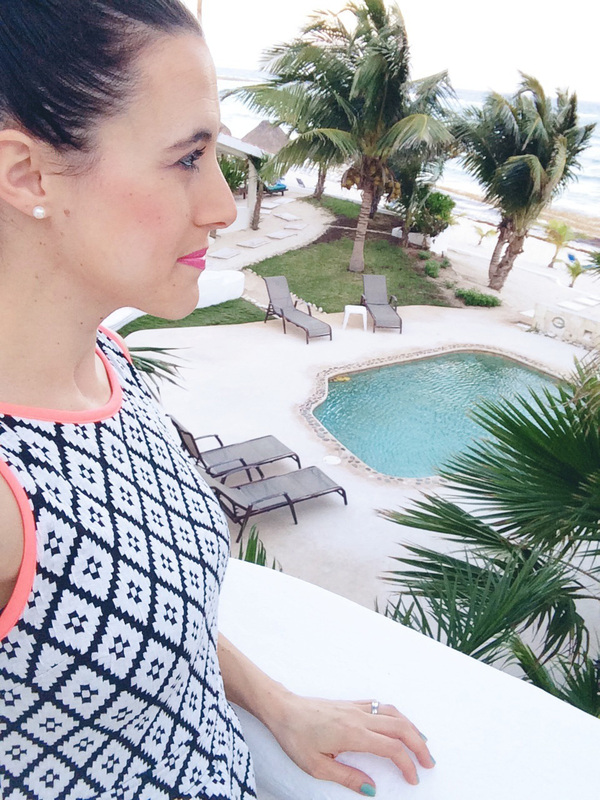 This was taken before our private dinner right on the beach at Momo Hoja. Never thought the most romantic dinner of my life with be with a toddler in tow, but this place took the cake! Doesn’t get any more amazing than this. 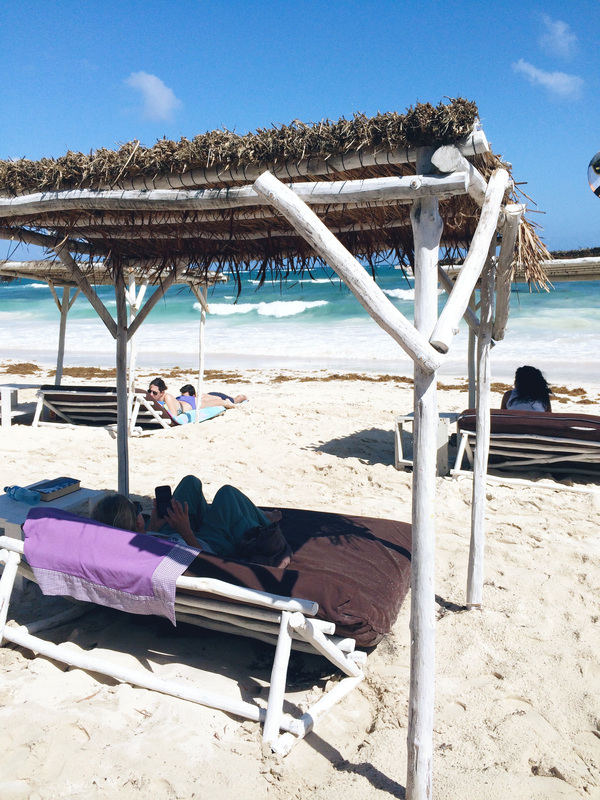 It’s basically paradise at Papaya Playa Project. 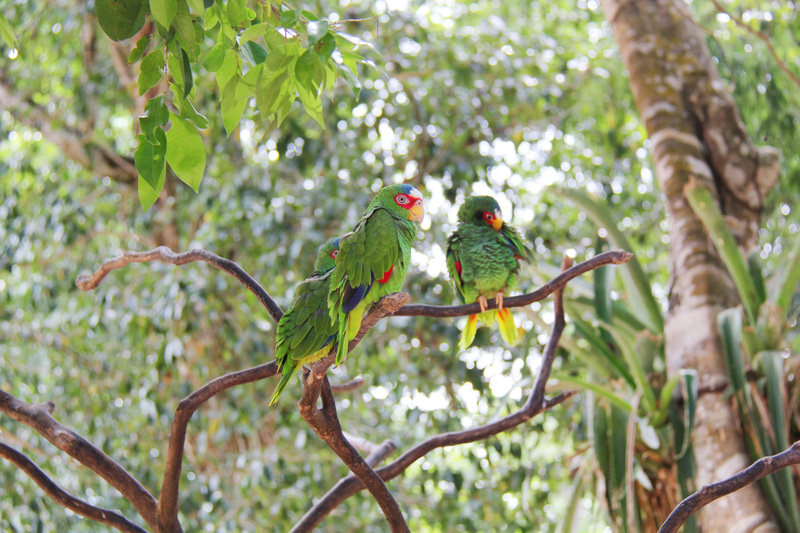 They are welcome to outside guests, free parking, and fabulous beds as long as you place an order for food or drinks. Done and done. 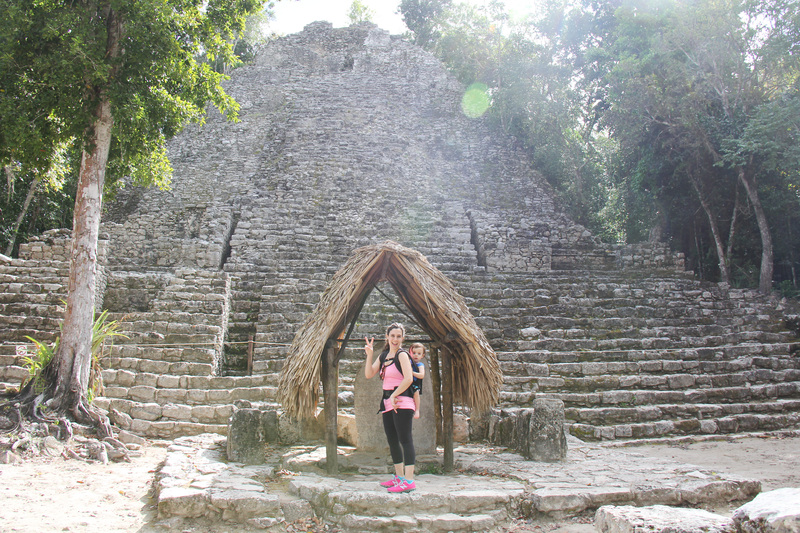 Decided to drive out to Coba for the day to explore the Mayan Ruins. 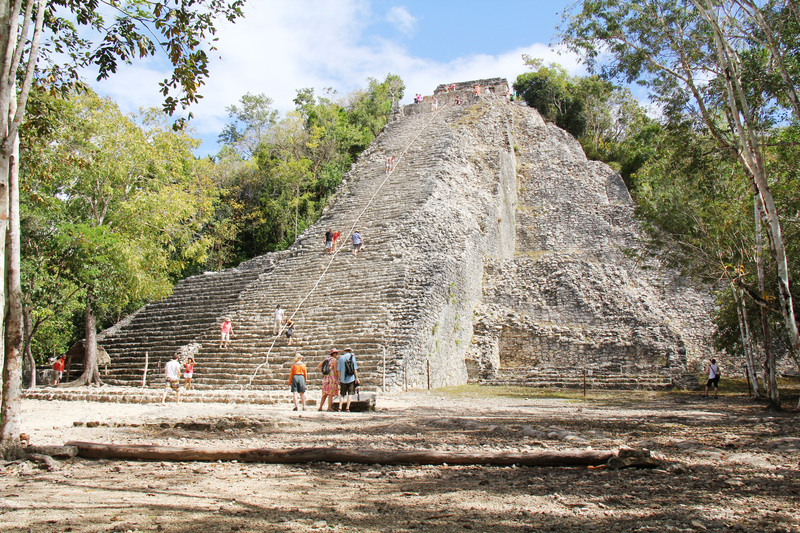 I definitely recommend getting a tour guide here as it was extremely helpful to understand what we were looking at and we learned so much about the ancient history, language, and culture of the Mayans. 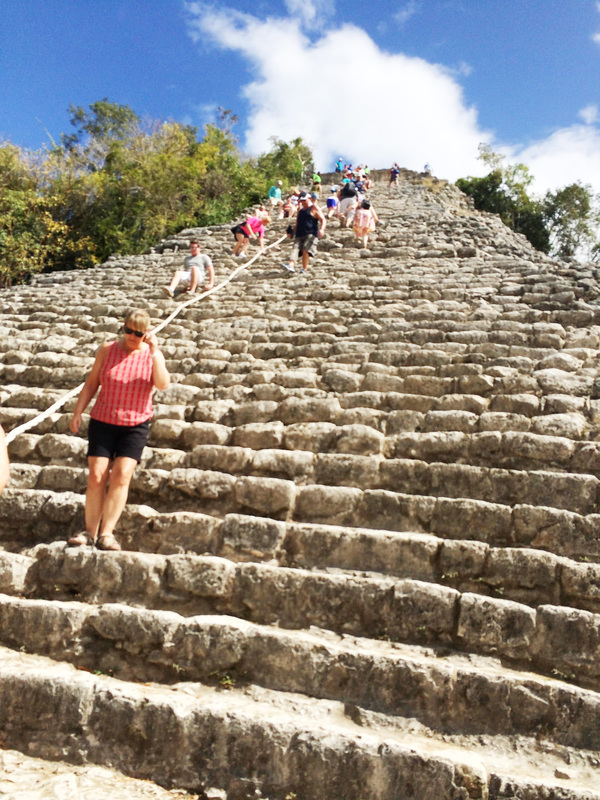 They allow you to climb to the top of one of the pyramids here. I climbed it with a baby in my belly and baby on my back. A little steep and a little scary, but pretty awesome! 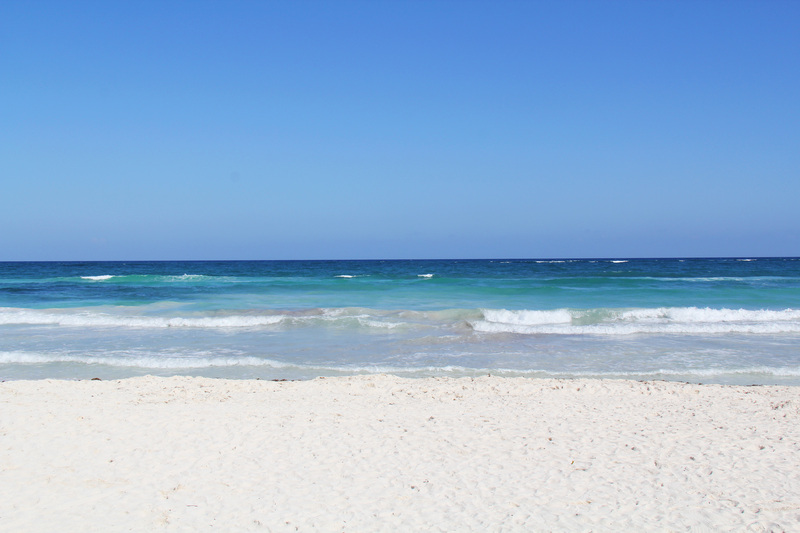 Crystal clear blue waters of Tulum = heaven. 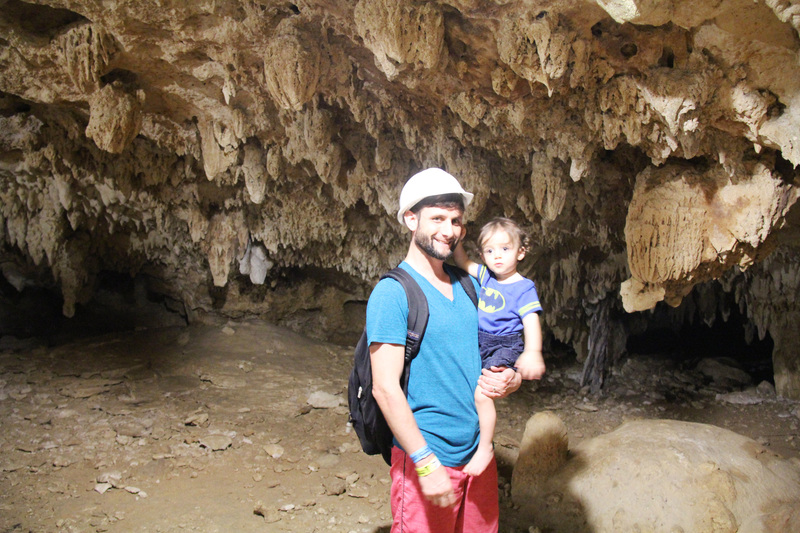 Spelunking at Aktun Chen. This was really fun and kid friendly. 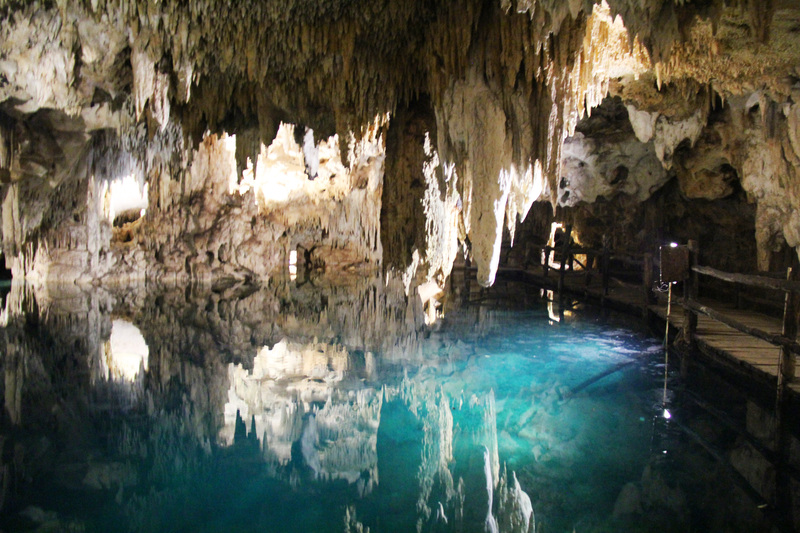 We toured the spectacular cave, saw lots of animals, and then went swimming in the underground river cenote. Pretty amazing. 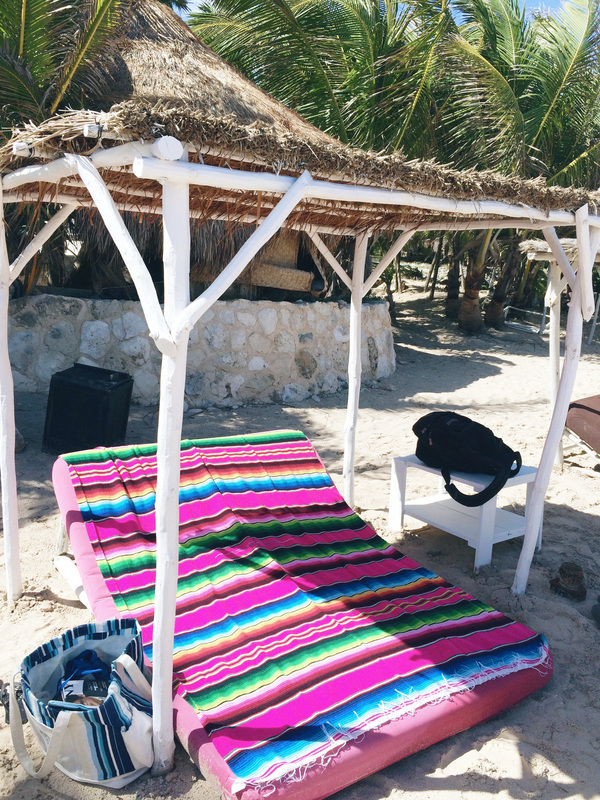 Lounging for the day at El Paraiso. 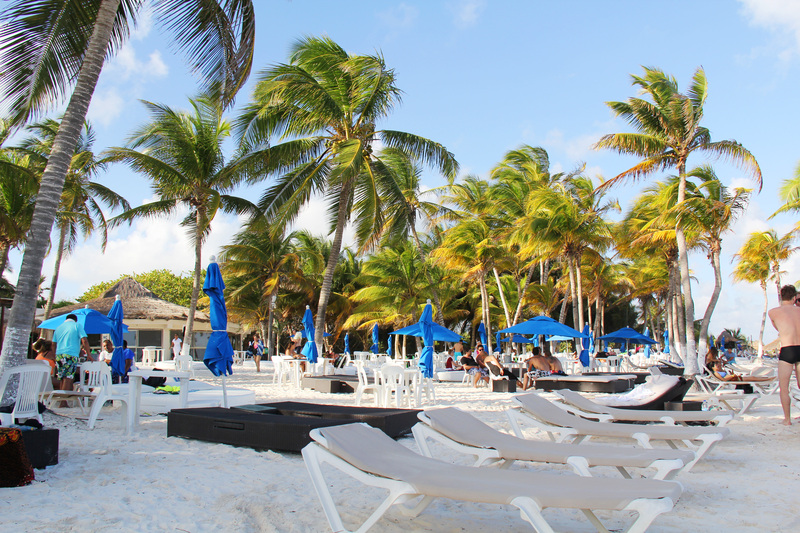 Zack also took a boat off the beach here to do a snorkeling tour and had a great time! 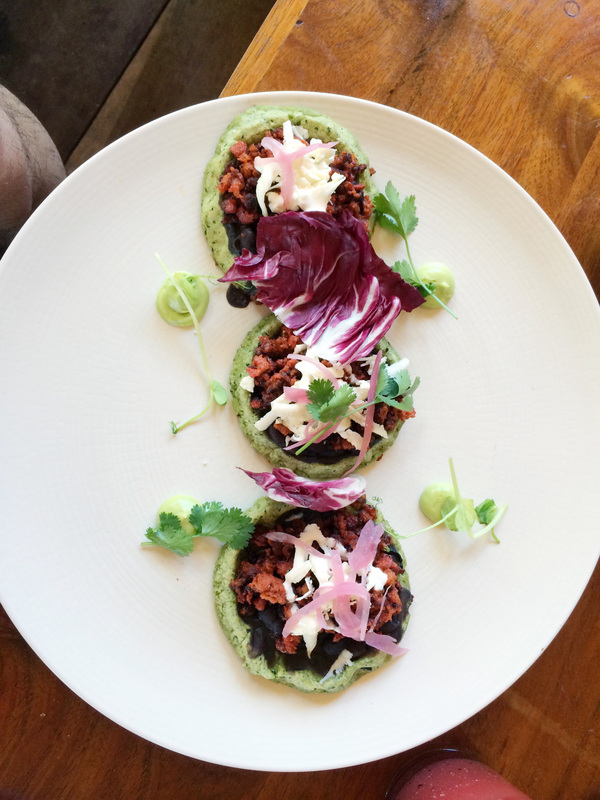 Sopes for lunch at the incredible Le Zebra beach club. 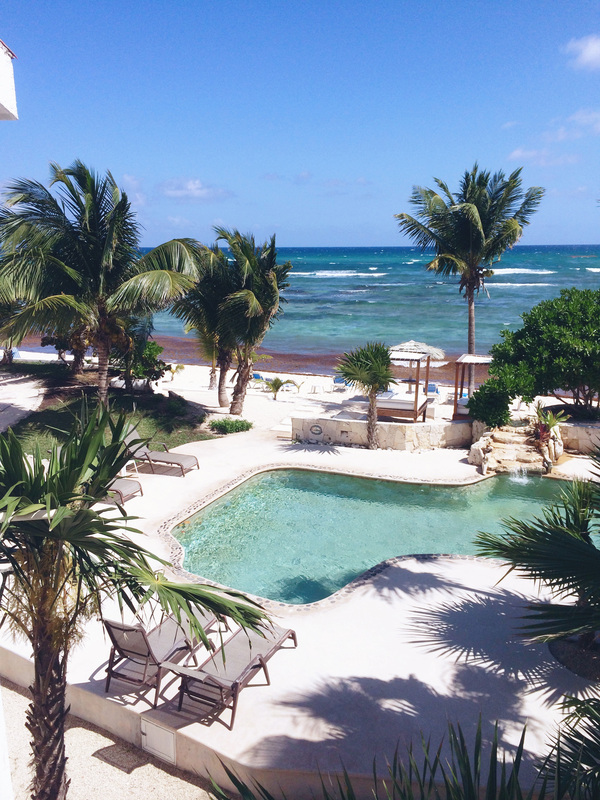 This place was absolutely gorgeous, and I would recommend people stay here! Fabulous food, rooms, and scenery. They had BEDS in the restaurant! I meeeean…it doesn’t get any better than this! Haha. 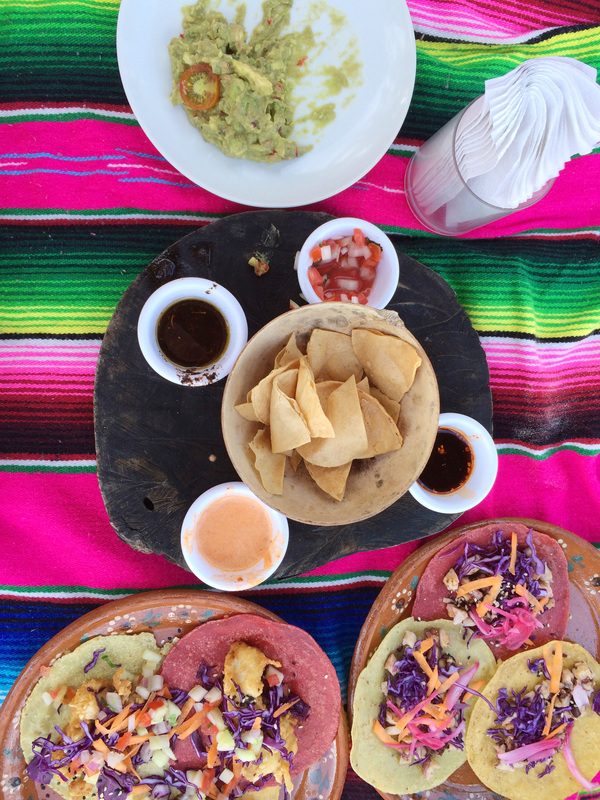 Didn’t get fancy at all in Tulum, so decided to glam it up a bit in Akumal for dinner on the beach. 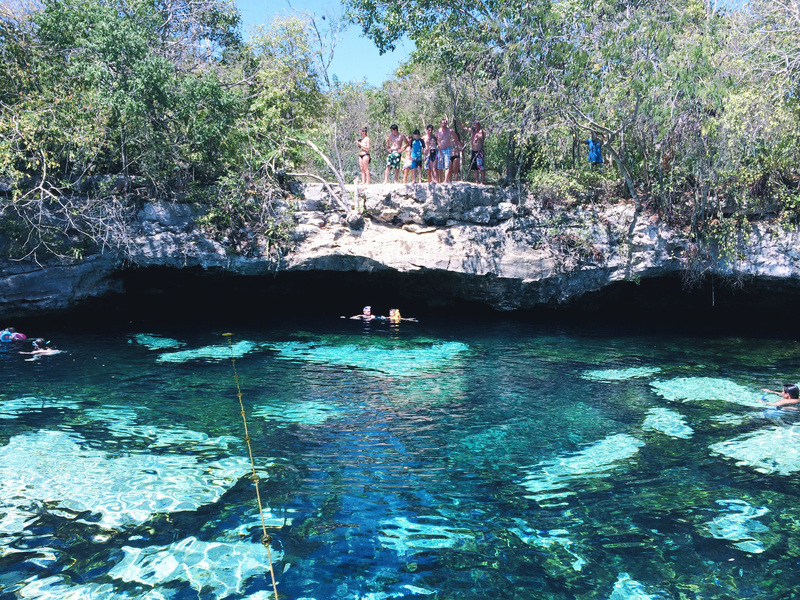 Day trip to Cenote Azul for some fabulous swimming and snorkeling! What a gorgeous place! 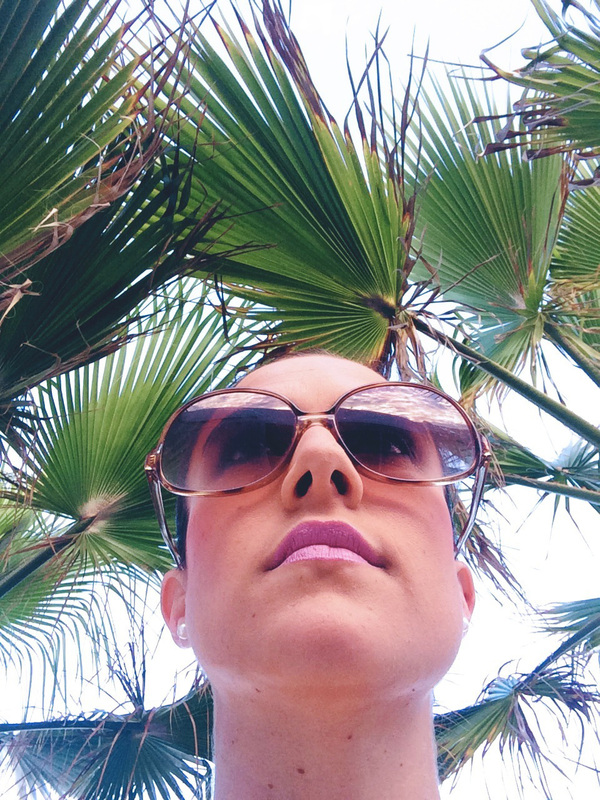 Ahhh, I am craving this warm weather right about now! Take me back! 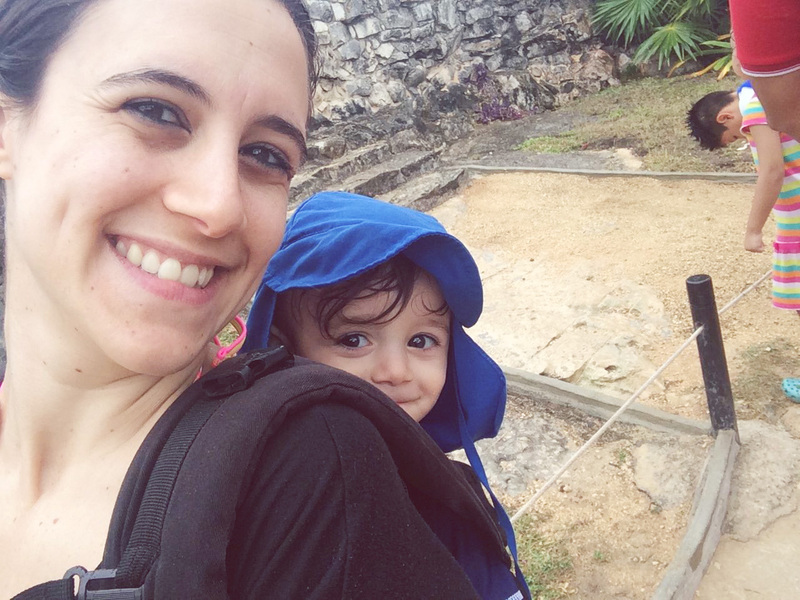 It’s been a busy week here in NY, working away with fitness challenge groups, freelance writing, and running around with my Nico. We had so much fun over the weekend capturing our gender reveal and we are so pumped for Nico to have a little bro! Hoping warmer weather is in our future. We are ready to play outside again! How about you? What are you most looking forward to for the spring season?